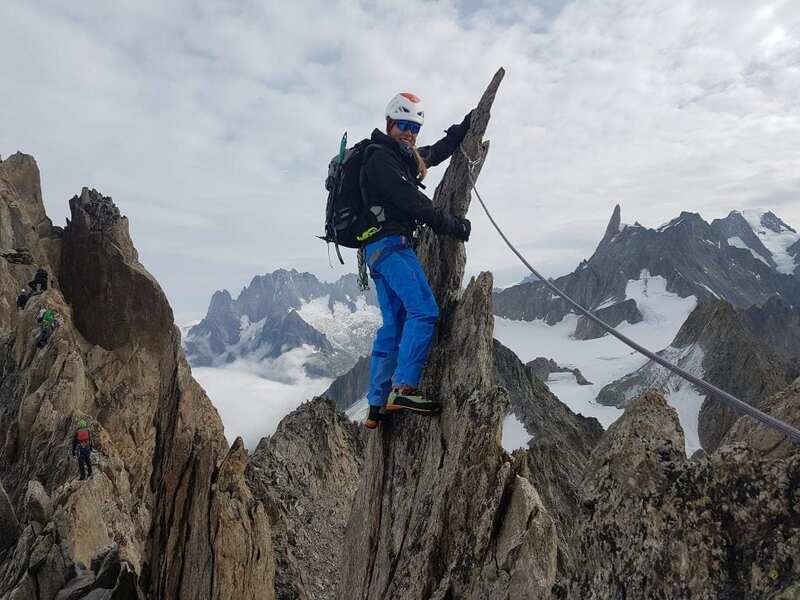 It’s time to admit summer is over… although the balmy weather in the Chamonix valley at the moment means there’s still rock climbing to be done, but the snow line is certainly creeping down the mountain side and it won’t be long before the skis come out. The 2018 summer season was an interesting one. 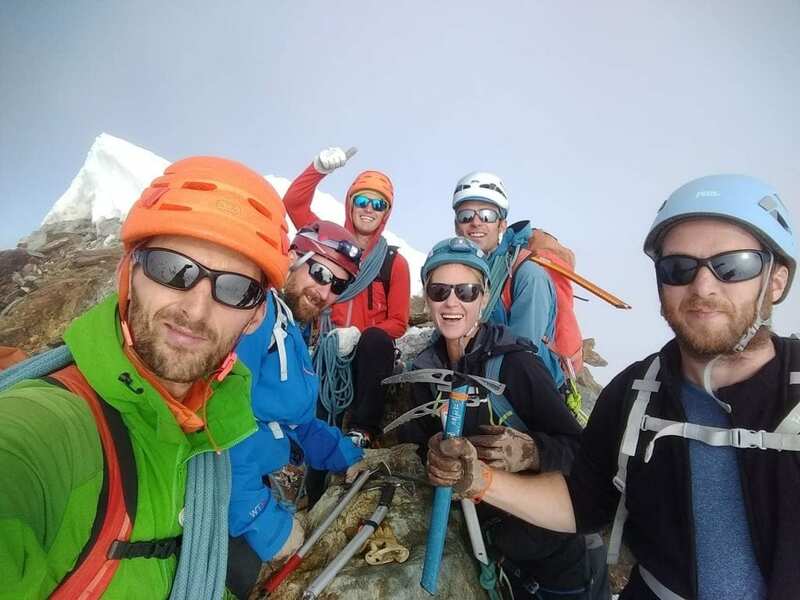 We started our “summer” guiding season in May and climbed in the high mountains right through to mid October. After last winters heavy snowfall we thought we were in for a treat this year, with many of the classic snow and ice climbs in excellent condition at the start of the year. However, we ended up with a very dry and consistently hot summer and most of the extra snow had gone by late June. The main result of these consistent high temperatures is a melting of the permafrost which effectively glues the rock to the mountain. 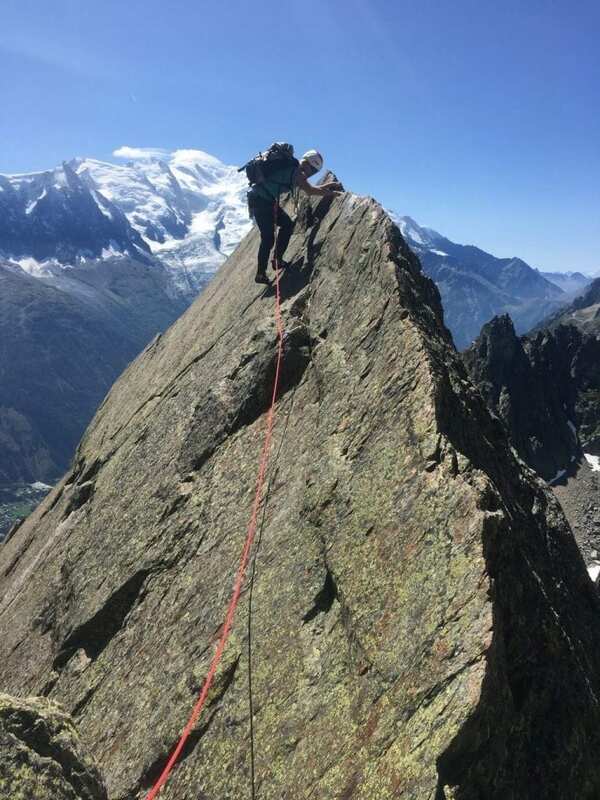 Some mountains and routes have seen a lot of rock fall and instability, with a couple of routes (such as the Cosmiques Arete) off limits completely. It’s not all doom and gloom though. 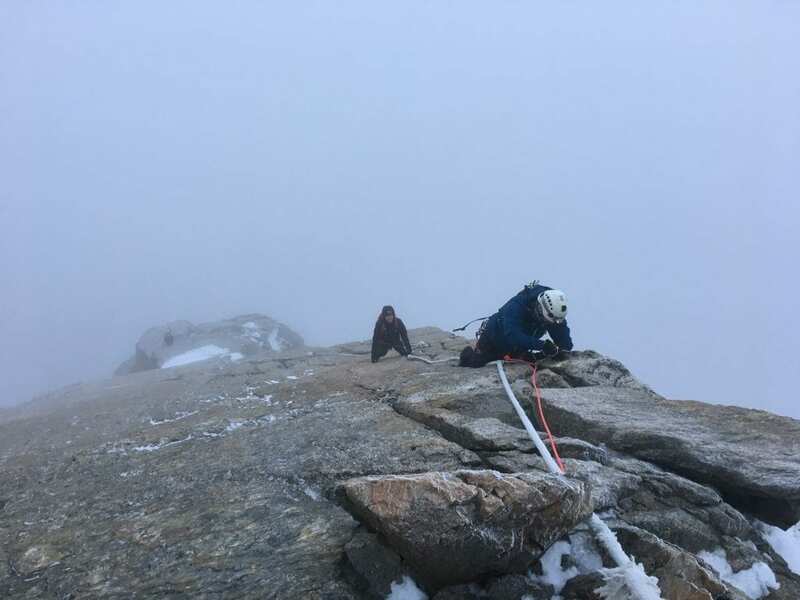 It’s a matter of not trying to fight the conditions on the mountain but changing plans and climbing routes that are in good and safe condition. 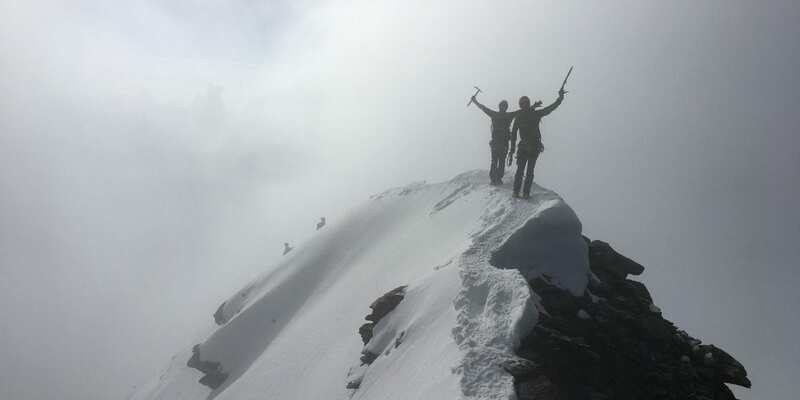 We had a great trip down to the Monte Viso, climbing it’s long East ridge. 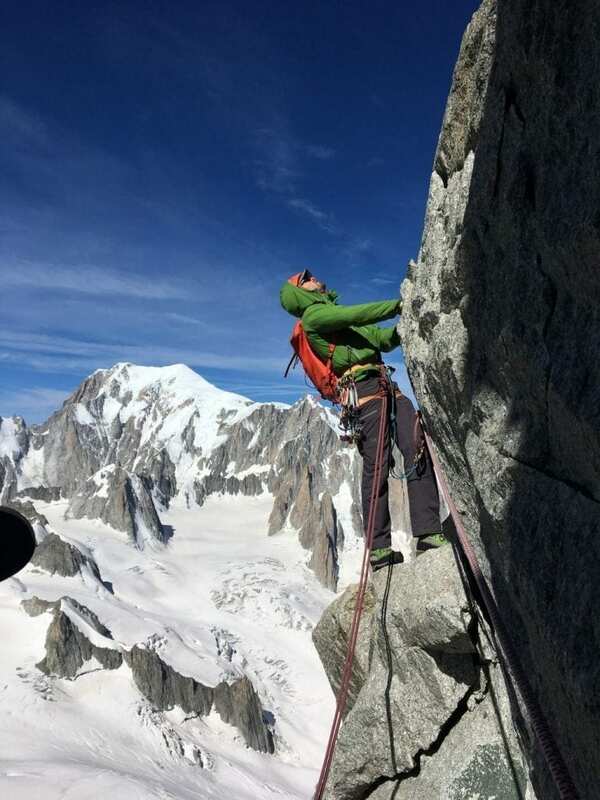 We climbed lots of rock routes around the Chamonix area as well which are totally unaffected by these higher temperatures as they sit below the snow line anyway. The Papillons arete, north ridge of l’M and plenty of trip across the Perrons traverse too. 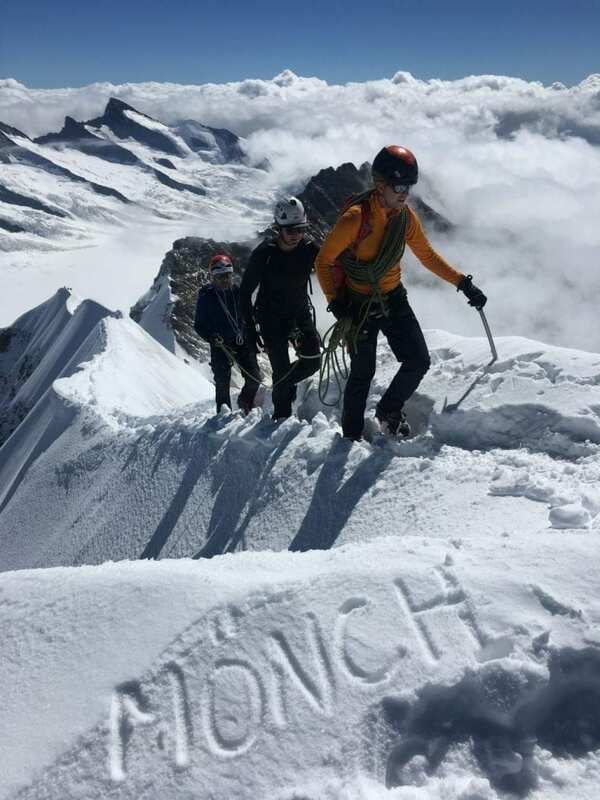 This year saw a lot of our teams head over to the Eiger to climb both the Mittellegi ridge as well as the south ridge from the MonchJoch. We had two summits via both routes and one near miss…. the conditions were firmly against us but the Monch and the Jungfrau were good consolation prizes instead. Mont Blanc has been as popular and as busy as ever. We had a trip there each month, each having a different set of conditions and weather from snow and storms in May to dry and t-shirts in July. We avoided going on the mountain on our August trip as the rock fall in the Grand Couloir was unpredictable and dangerous. Later on in the season it settled down again once the temperatures had dropped. The best month to climb the mountain is still June.. I think! Late May can be good, although it’s a longer trip as the lift and train aren’t working yet so there’s a longer hike from the valley. We have a trip scheduled each month next summer. Finally, we’ve had some excellent alpine technique and independence courses with folk learning crevasse rescue techniques and tackling climbs on the sharp end of the rope.. with a watchful eye from the guide of course! 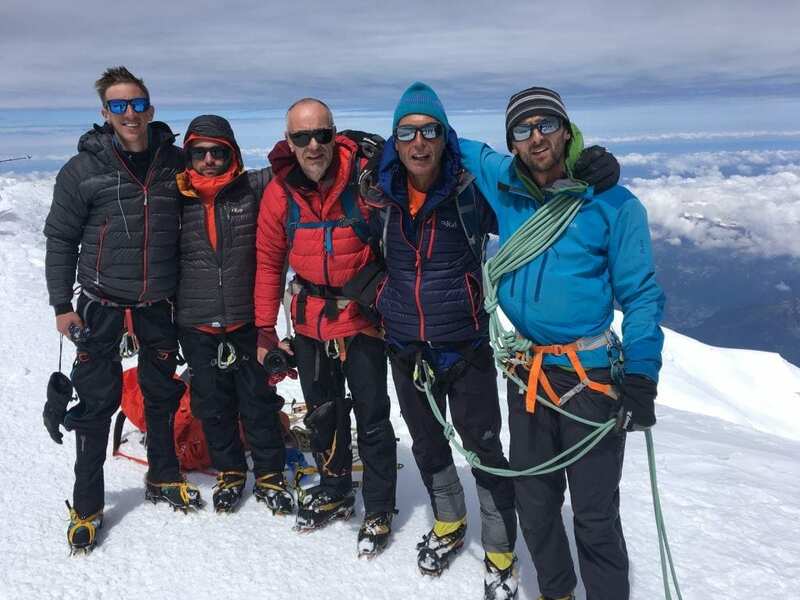 We’ve had the privilege of guiding and climbing on some great routes and mountains this summer but as ever, its our guests that make the trip. So a thank you to you. Have a good winter and see you next year! Amy traversing the Entreves ahead of the afternoon storm. The classic Razor pitch of the Chapelle de la Gliere. 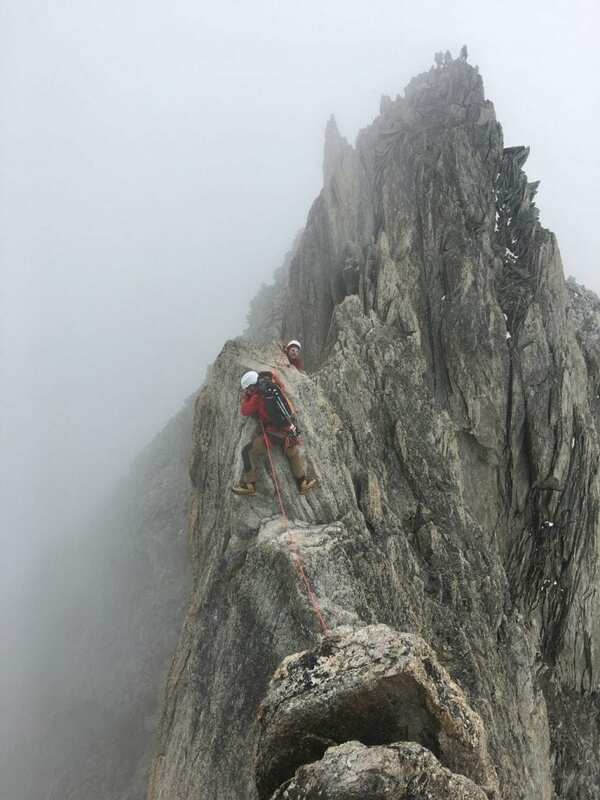 One of Chamonix’s classic alpine routes in the Aiguille Rouge. Mont Blanc in the background. 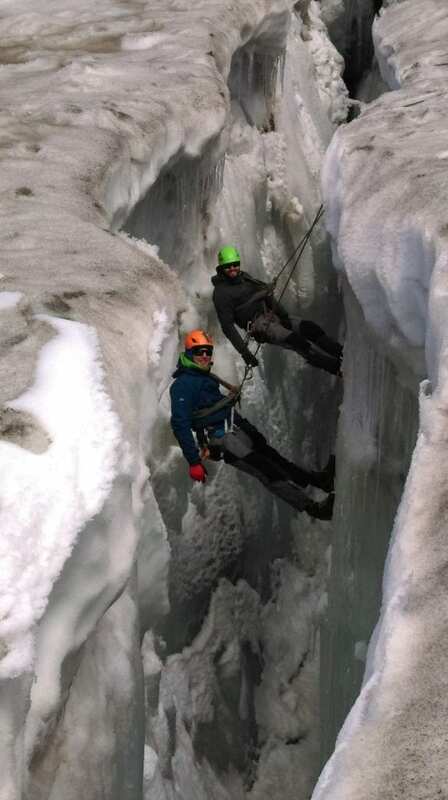 Crevasse rescue training near the Torino refuge.